There has already been one government shutdown this year. 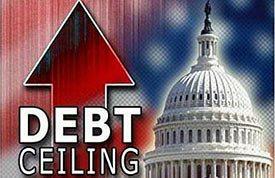 Congress and the President may decide another one, for the sake of a bit of theater around the borrowing limit, is not a good idea. Fiat money is just like coupons for food and service in former Communist countries. They have short half-lives and the issuers can never get into any legal problem. The only possible problem is issuers’ employees may decide not to play along with the game.